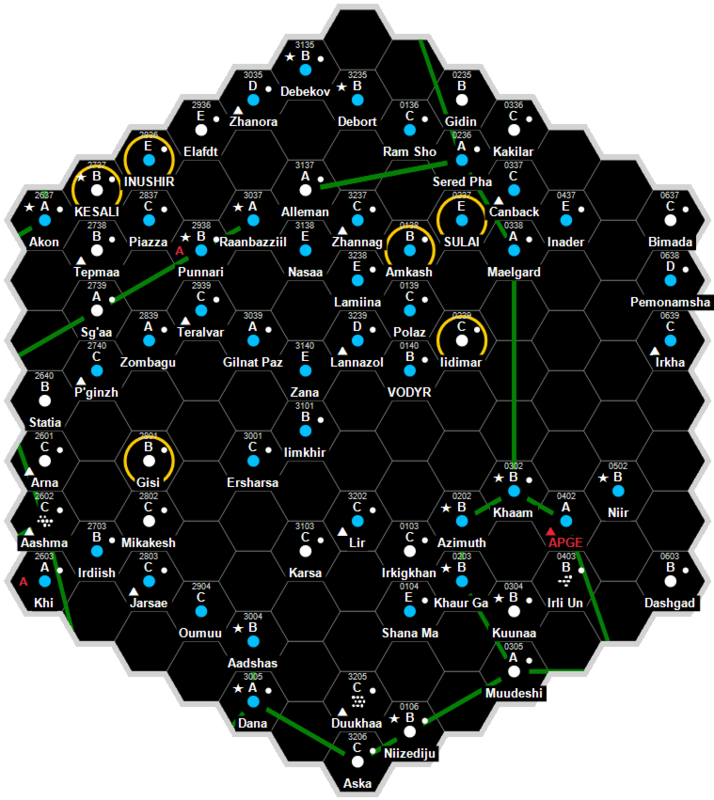 Shytek-oberon is a pre-agricultural, pre-high, rich garden world, as well as the subsector capital, with over a hundred million, but not yet at a billion sophonts in population size. Its economy and population are rapidly growing and living conditions are expected to quickly rise barring outside forces. This world was once known as Megalmatree. Shytek-oberon is a trinary (three-star) solar system. Shytek-oberon Secundius Secondary Red M4 V Shytek-oberon system. Close companion. Shytek-oberon Tertius Tertiary Red M6 V Shytek-oberon subsystem. Far companion. This page was last modified on 27 August 2016, at 11:58.